With any commercial website, the ultimate goal is to maximise the number of conversions. Having a well designed website that is fully optimised goes a long way towards achieving this. There are many different metrics available to monitor the success of pages and analyse which ones are failing to convert. Often, site owners will look at two key aspects when improving an underperforming page. Firstly, they will look at the SEO and make adjustments as necessary to improve the page from this perspective. Then, they will look at the various elements of the page that form the customer journey and make improvements to this. But if you’ve done all of this and your page still isn’t performing, what else can you do? 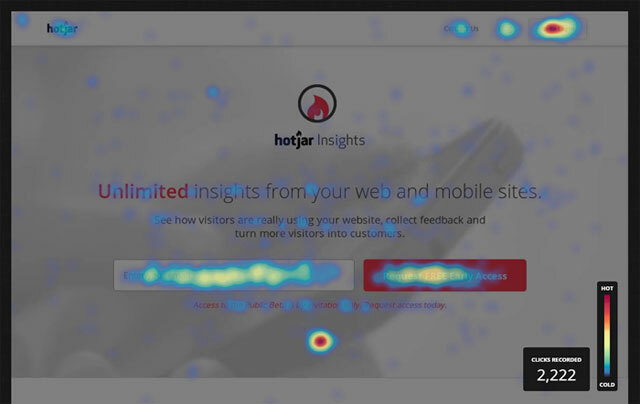 Heat mapping is a great way to start analysing exactly which elements of your page may be targets for further action by looking at exactly how users are engaging with your site. 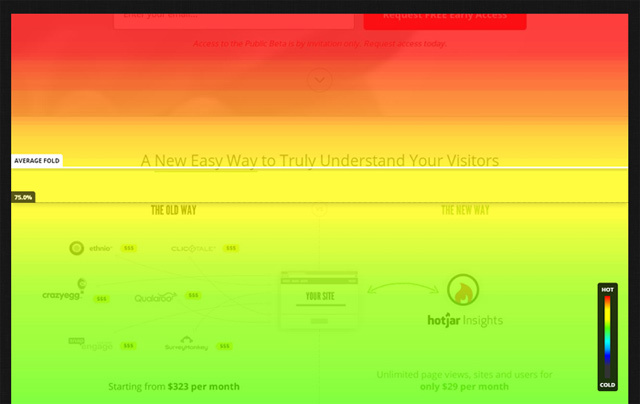 In the simplest of terms, Heat mapping is a way to visually represent user activity on a page. It uses highlights of varying intensities to show the density of user activity at each point of the page. This is often matched up with relevant data such as the number of clicks on elements and other useful ratios like clicks/hovers. The key thing with heat mapping is that it adds another layer to your all important analytics – the WHY: why is it that visitors are failing to convert or leaving your page at a particular point. There are two main types of heat mapping – eye-tracking and mouse-tracking. The former is generally expensive and harder to implement, so in this article we will focus on the latter. Mouse-tracking, as the name implies, involves following the mouse movements of visitors and the associated activities. These are then represented in a graphical form. 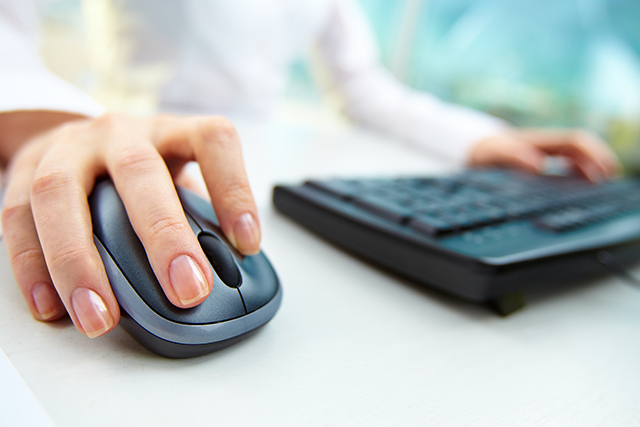 It is important to understand that mouse movements on a page may not indicate where exactly the user’s attention is being drawn to at a given time. However, studies indicate that mouse position and eye position retain a fairly close relationship – often to within 20-30 mm. The value of mouse-tracking is that it allows you to see exactly how readers view, navigate and interact with a given page – showing you just what it is that users do or don’t do – the key to fixing those lost conversions. What can Heat Mapping tell you? If we take the example of an eCommerce site, our fundamental goal is to get sales. So let’s imagine that our home page has a promotional hero banner and some featured products housed within a carousel which are key lines for conversion. There is also a free delivery promotion with a clickable link for more information. Whilst traditional metrics allow us to measure how many customers click on the hero banner, they do not tell us if it is getting the attention of the customer. Heat mapping allows us to fill the gap by showing how many visitors move their mouse over this element. Likewise, it becomes possible to determine whether people are interacting with the carousel and if they are responding to the free delivery promotion. Heat mapping allows us to see which elements are getting attention and which are not. This will help to establish whether certain elements of the site are actually causing a conflict by drawing attention away from the most important conversion goals. Combining this with click data will help to understand where design improvements can be made. 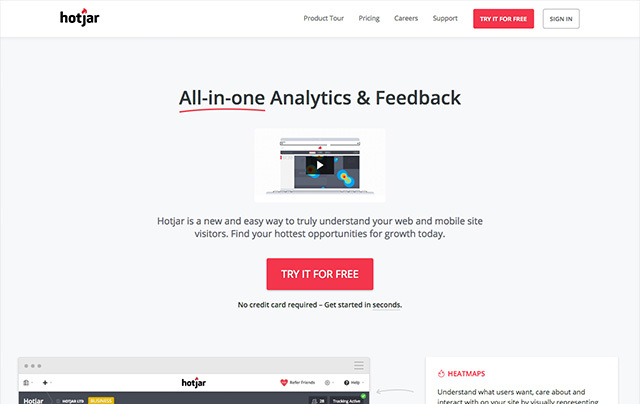 One leading heat mapping solution which is simple to use with both Magento and WordPress is Hotjar (https://www.hotjar.com/). The all in one analytics solution provides powerful visualisation tools which allow you analyse mouse clicks, mouse movements and scroll behaviour – with the option to split heatmaps by device type. In addition, it offers the ability to record user behaviour, so that you can actually replay the whole session of a given user. 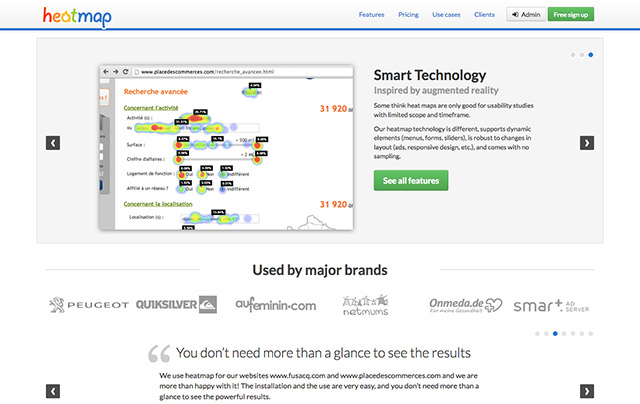 Heatmap (https://heatmap.me/)is another leading platform that is trusted by a number of leading brands. As well as offering all the reporting that is included as standard in Hotjar, Heatmap also has the attractive extra of being able to support dynamic elements such as menus and sliders, adverts and responsive design. The software is designed to be ultra-light, meaning it will not impact the speed of your site. 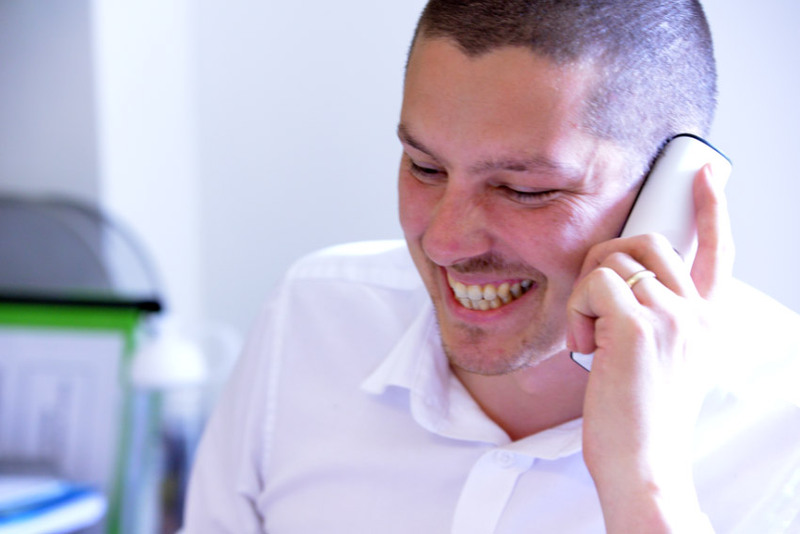 Allan is a Magento eCommerce account handler and has worked at Verve for over two years. 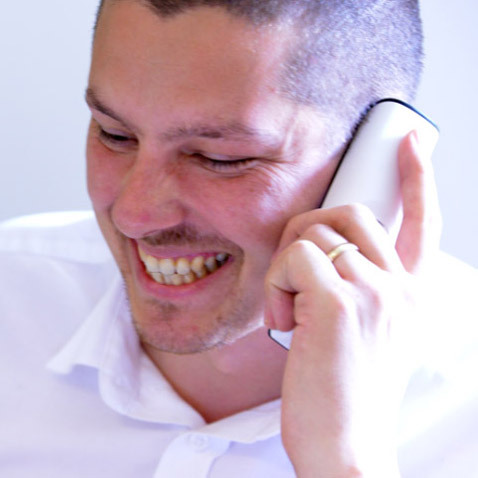 As well as working with clients to help them make the most of their eCommerce opportunities, Allan is an experienced copywriter specialising in blogs and website copy. In his spare time, when not running around after his three sons, Allan enjoys taking part in various running endurance events.